In order to maintain a long-term customer relationship, trust is one of the most important underpinnings to have in place. Everyone who has been in the position of building trust with someone knows how easy it is to lose that trust. Building and maintaining trust needs constant attention and continuous action. So how does a software design and development company build trust with its customers? Throughout my professional life, I have sat on both sides of this table experiencing both perspectives. I have been selling software projects, and skills, to corporations and companies, large and small. I have been purchasing skills through software projects and software as a service from the small, and gigantic, players in the industry. This, I think, gives me a well-rounded understanding of how trust is perceived and understood from both sides. At the end of the day, you can define trust as a warm feeling, for your customers, that my partner is giving the service, ideas, and tools I need in order to develop and run a service. I should feel that my partner deeply cares about my success and understands and champions my vision. Sounds easy, right? However, In practice, this is only achieved if your companies values are strongly defined, and the organization, top to bottom, maintains and lives up to these values. Leadership needs to live up to its name and lead by example to infuse these values throughout the workforce. They need to be adopted and demonstrated by everyone, not just the sales people and management. These defined values need to manifest themselves through the work you do every day and be understood, respected and championed throughout the whole company. How have we achieved this at Finlabs? Although our values are fairly clear to the team, I don’t think we have them written anywhere for reference. Our values have simply been shown in actions by key company members and, in turn, have quickly been adopted by company newcomers through example. The result is a solid army moving positively in one direction under a like-minded vision. This fuels consistency, positive reinforcement, efficiency, success and a strengthening of the attitude to get things done, and constantly improve as an individual. Once your company values are set and lived up to across your organization, the act of building trust with your clients becomes an easier prospect. At Finlabs, we’ve focused on building a team where every member is an expert in their own area. Because of our values, we encourage and cultivate an eagerness to learn more about new technologies, immerse ourselves in our customer's businesses, and to gain and understand different perspectives and point-of-view from their peers. This allows us to resource our projects fairly fluidly, knowing that the knowledge needed will bubble up to the surface at the right time through the companies collaborative underpinnings. As mentioned, the collaboration and communication we foster in our team, and with our clients, is key to building trust. With this constant teamwork, we all know that tasks and features are complete when the team marks them as a complete. If there is a lack of clarity our customers can expect our team to ask questions. This builds the understanding and trust that we are all moving in the same direction in unison. This constant communicating is critical in order to understand supplier and customer expectation levels around results, deliverables, and timetables. Obviously, the more professional your team is, the easier it is to achieve and exceed your customer's expectation levels and gain trust. This is especially true when the customer is not from the world of software design and development. These customers don’t have all the background knowledge and skills needed in order to build a robust and scalable software product or service. They need to be guided, with confidence, through the need to set up the right architecture and use the right tools to support their business goals and planned roadmap. We work side by side with our customers to make sure they gain full confidence in our ability and feel we are working to make them more knowledgeable, confident, and successful. Development projects with steady goals can be easy. But, when there is an ever growing list of unknowns with a constant stream of changes and curveballs that need to be tackled fast, confidence and trust in decision making can be tested. You can’t hide behind the agile two-week sprint cycle. You need to handle problems and altered requirements without missing a beat. These demands and issues tend to come at time critical phases of a project when the thumbscrews are on to deliver on time and meet a business goal. When trust is not there, this is when the customers feel most at risk and typically tries to take the reigns themselves leaving you at the mercy of their instincts. With the trust there, customers will default more responsibility to you and your team. You will now be able to effectively steer around, or through, these challenges while causing minimal impact on your customers business goals. In conclusion, there is no real checklist to work through in order to guarantee a building of trust. It’s built by practicing what you preach and manifested in having the team to back up that talk through action. You must, obviously, staff the right team on a job, down to the individual skillsets, personalities, and expertise, in order to deliver on a promise and a goal. You must maintain a positive attitude and relationship with your client and break down the barrier of a client-vendor relationship to collectively function as one team instead of two. You must truly understand your clients business and their objectives, and share, deeply, their passion to meet goals and be successful. If you are reading this and you are ready to bring new ideas to life through the building of new software, products or services, we at Finlabs want to show you how a trusting relationship works and share your passion to help achieve your goals…together. 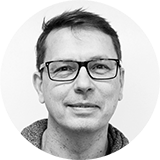 Markku Pulkkinen is CTO and one of the founders of Finlabs. Markku has amassed more than 20-years experience creating new and unique solutions for companies like Nokia where he was a key contributor to Nokia’s mobile banking platform to serve the underbanked, and integrate them to the banking world.